NPCIL Recruitment 2017 - Latest job notification for 150 Executive Trainee Posts through GATE 2017 in Across India. 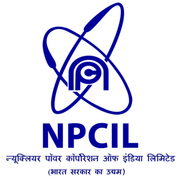 Applications are invited by Nuclear Power Corporation of India Ltd. (NPCIL) before 15 Jun 2017 for 150 vacancies. Full Time BE/ B Tech/ B Sc (Engineering) (4 years duration)/5 years Integrated ME/M Tech with a minimum of 60% aggregate marks (minimum 60% marks means the marks as per the ordinance of the respective university/institution) in any of the engineering disciplines mentioned in the table below from a recognized University/Deemed University or Institute recognized by AICTE/UGC. Reservation for PWDs will be as per Government of India orders issued from time to time. i. Relaxation & concessions for SC/ST/OBC/PWD will be provided as per Government of India orders issued from time to time. ii. Only such persons, who suffer from not less than 40% of relevant Disability are eligible to be considered under PWD as per "The Persons With Disabilities (Equal Opportunities, Protection of Rights & Full Participation) Act, 1995." Candidates will be shortlisted for Personal Interview on the basis of valid score obtained in Graduate Aptitude Test in Engineering (GATE) 2017. Eligible candidates may apply for the post of Executive Trainee and required to apply online on NPCIL web portal www.npcilcareers.co.in from 06.06.2017 to 15.06.2017. Final selection will be solely on the basis of performance in the Personal Interview. The Personal Interview will consist of 100 Marks.